I used to travel to Rochester NY quite a lot. 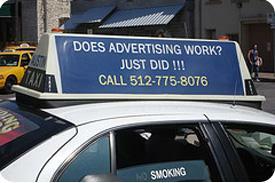 On the sides of their buses they had a sign that said “Does advertising work? It just did”. I don’t know. Do you find it as annoying as me? Everything seems to carry advertising these days. Look at sport. On cricket, the batsmen, umpires, bats, stumps, scoreboards, well, everything except the ball, even the grass carry the stuff. Virtually every part of a formula one car, and driver, and mechanics is covered in the stuff. If you use an app on your tablet or phone, the advertising covers the screen. I play a little Words With Friends (aka Scrabble clone). You can’t see the scores as there is a banner headline advert that covers it. After every move you are taken to an advert, usually for a fruit based game. Often you can go back and skip it, but then your device locks up for ten seconds as a punishment. Advertising seems to cover everything. I try very hard to avoid it. For example, if I am watching a tv programme on a non-BBC channel I will record it, that is time shift it, and skip the ads. You know the advertisers hate me doing this. On YouTube they conveniently provide a ‘skip’ button to move on after five seconds has elapsed, though some longer ads just go on. Quite often they are a rather smug Jeremy Clarkson advertising himself. Sorry guys, if I can’t skip the ad, the clip won’t be watched, nor will any others by you. I know what you are going to say – you can’t get free stuff for, well, free. Someone has to make money from it, for the effort they put in, because that is how the world turns. Well, with an app, for example, there are things that are free and carry no advertising. Others, you can pay a token amount and the adverts go, at least until you update the app. Mostly, adverts are not well directed. My tablet knows the kinds of things I like to do, and the ads should be designed to appeal to my interests. In truth, if I buy something, from a can of beans to a new tv, I know how to make my own decisions. And, to be honest, any product that has annoyed me with its advertising will never be bought.